Speaking at a rally in Tasgaon in Maharashtra, Shah said as long as the BJP exists, Kashmir will continue to be an integral part of India. 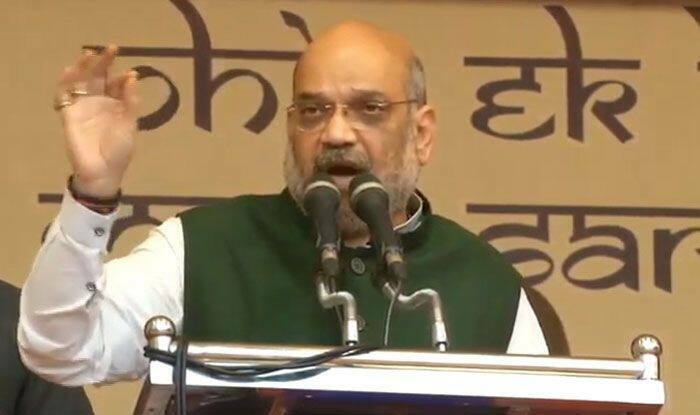 Kashmir is an integral part of India and it would continue to remain so as long as the BJP exists, party president Amit Shah said in Tasgaon on Wednesday. Shah’s remarks came at a poll rally, in response to National Conference leader Omar Abdullah’s recent suggestion of having a separate prime minister for Kashmir. Terrorists infiltrating India will be searched and killed, he said. “Prime Minister Narendra Modi worked to make the country safe. Through Balakot air strike, we avenged the deaths of our soldiers,” he said.